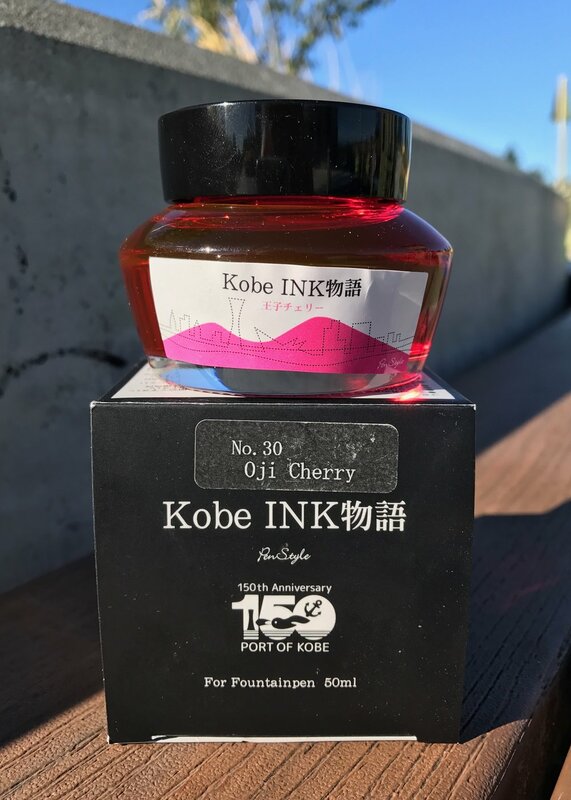 Kobe ink is made by Sailor, and so far I haven't tried too many of them, but I really liked the ones I have tried. Depending on which website you look at, I have seen Oji Cherry spelled Ooji Cherry, Ouji Cherry and Oji Cherry. My box says Oji Cherry, so I'm going with that spelling for now. I got my bottle of ink from Ron over at Pen Chalet. Kobe inks come in the standard Sailor bottles, but without the stupid ink misers. 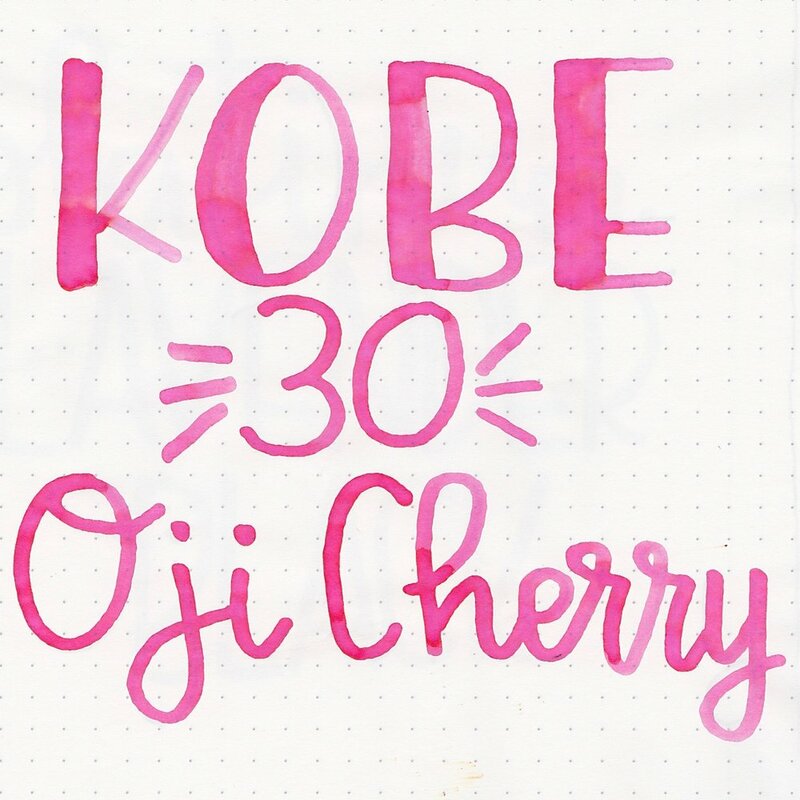 Oji Cherry is a bright pink, perfect for spring. I'm not usually a pink fan, but I do really like this color, it's beautiful. I do wish it had more sheen and shading though. There is just a tiny bit of gold sheen on the edges of the ink drops. Pilot Iroshizuku Momiji, Kobe #30 Oji Cherry, and Pilot Iroshizuku Tsutsuji. To see the Kobe ink swabs together, click here. Akkerman #20 Pulchri Pink, Diamine Flamingo Pink, and Papier Plume Garden District Azalea. 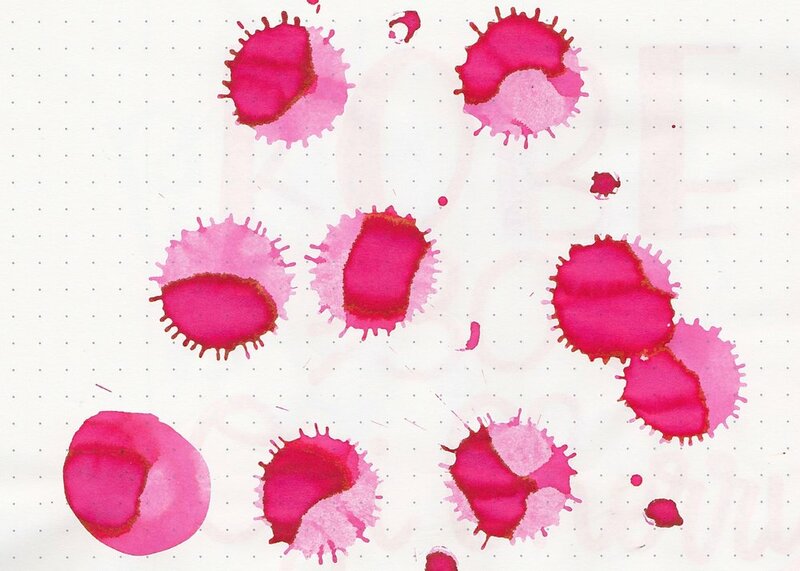 To see the pink ink swabs together, click here. I used a Pilot 912 FA on Tomoe River paper. The ink did a good job of keeping up with the flex, but there is just a little bit of railroading. Overall, this ink is nice and wet, and is a gorgeous color, but the dry time is a bit long. I really do love the color though, so I'm really happy I have a full bottle of ink. Disclaimer: This bottle of ink was sent to me free of charge by Ron at Pen Chalet in exchange for an honest review. There are no affiliate links on this page.